National Biodiversity Authority | What's with the Climate? 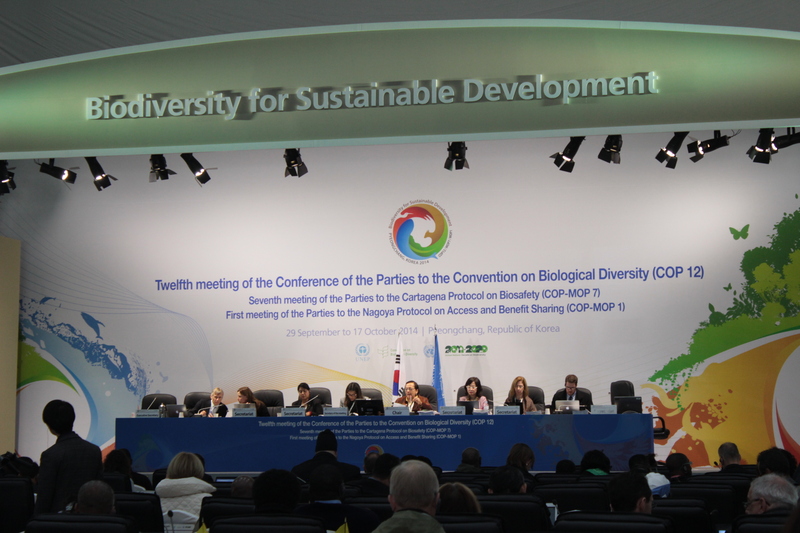 Nagoya Protocol on access and benefit sharing came in force last Sunday. It is definitely a good news, as after years of deadlock on the issues of environment and sustainability, we have a new substantial global norm to facilitate environmental governance. At a very basic level the objective of the protocol is to ensure fair and equitable sharing of benefits arising from utilization of genetic resources and traditional knowledge. Now a framework is in place which ensures that genetic resources of countries and communities are not used without consent. When the foundations of Convention on Biological Diversity (CBD) were laid, developed countries desired conservation agenda at the top, while developing countries wanted sustainable use of biodiversity for their material progress to be priority. In the juggernaut of various interests Convention on Biological Diversity succeeded in balancing at-least the demand of developing countries. To ratify the protocol, parties need to have a domestic regulatory framework which can be either in the form of legislation. The legislation further creates a regulatory body or the task of access and benefit sharing is allocated to the relevant existing department. Bringing out legislation is not mandatory. There needs to be a relevant body with a job profile of implementation of norms related to access and benefit sharing. The protocol also acknowledges the role played by indigenous and local communities in sustainable harvest of genetic resources and their knowledge (traditional knowledge) of its handling. The protocol enforces the sharing of monetary and non-monetary benefits with them after the sustainable usage of genetic resources. India definitely needs a round of applause for hosting COP-11, in Hyderabad, which brought out the road map for ratification of Nagoya Protocol by more than 50 parties (participant countries) of CBD. Let me make one thing very clear, it’s the efforts of previous government which bore fruits in the regime of new government. We don’t need to congratulate either Mr. Narendra Modi or Prakash Javadekar. India’s role in ratification of protocol need to be appreciated, but the fact is that India also has shown tremendous hypocrisy to execute the same at home in India. National Biodiversity Authority (NBA) was created in 2003 much before the formulation of protocol with the similar objectives. Sadly, the NBA has done more harm to environment and losses to the biological resources of the country go un-estimated. There are not many case studies of sharing of benefits arising after from utilization of genetic resources and traditional knowledge with indigenous and local communities in India. NBA prefers to keep the money and other benefits in its own pockets. The appointment of chairman of authority has also been in controversy. Government of India prefers arrogant bureaucrats over the professionals who have done considerable work in biodiversity conservation. The result is in front of all the parties attending COP12 at Pyeongchang. The current head of National Biodiversity Authority can be found tasting food and beer in different restaurants and bars or organizing receptions where ironically “beef” is served, instead of attending working group meetings, except when he is asked to chair the plenary sessions. His statements as chair constitute nothing more than hollow sermons on eco-friendliness of Indian culture. The phrases like ‘Vasudev Katumbakkam’ are being over used and later abused. Adding to his profile, last year he used inappropriate language when the youth delegation was making intervention at the inter-sessional meeting of parties in Montreal. Government of India did its best in ensuring mandated number of ratifications, but failed to enforce the norms at home. The other environment protection and forest rights laws are facing the fire; their wings will be flipped in coming months. In the near future, NBA which is already a feeble body has similar night-mares on its way. Getting back to global norm, it is good that countries after decades of negotiations have something substantial in hand to monitor the access and usage of genetic resources. They have to be very careful in making sure that utilization of resources is not done for wrongful purposes. Now they also have a chance to come up with a stronger mandate of conserving flora and fauna. The benefits availed from ABS protocol can be helpful in doing the same. Keeping fingers crossed! Disclaimer and confession: I’ve always been asked about the reasons of being too cynical regarding India’s role in global environmental governance. Let me clear the air once for all. Indian leadership is very good in quoting ancient texts and informing the world about greatness and green-ness of Indian culture, religion and society. Their actions at home stand the opposite to what they generally state in global forums. This doesn’t make me and others very hopeful at all. Categories: Convention on Biological Diversity, COP12 | Tags: .Nagoya Protocol, Access and benefit sharing mechanism, CBDCOP12, Narendra Modi, National Biodiversity Authority, Prakash Javadekar, Pyeongchang | Permalink.